Why is a Labour MP attacking ‘loony lefties’ while defending the Saudi and UK governments? It is almost four years since the Saudi-led bombardment of Yemen began. Over 60,000 people have been killed as a direct result of the war, with many more dying as a result of the ensuring humanitarian catastrophe. Saudi forces have bombed schools, hospitals, businesses and homes. Funerals, weddings, market places and even a refugee camp have been turned into the sites of massacres. The violence spiked last year with the bombing of the port town of Hodeidah saw civilian deaths increasing by 164%. According to the International Rescue Committee, 500 people were killed in just nine days. The UK Government has licensed almost £5 billion worth of fighter jets and bombs to Saudi forces since the bombing began. Many sales have taken place using the opaque Open Licence system, which means that the real figure could actually be a great deal higher. Arms exports have traditionally been an institutional issue rather than a party political one, with Labour Governments having followed much the same policies as Conservative ones. Tony Blair’s Government oversaw the agreement to sell many of the Typhoon jets that are currently flying over Yemen. However, like the SNP, Liberal Democrats, Greens and Plaid Cymru, the current Labour leadership has been extremely critical of the political and military support that has been offered for the war in Yemen. Jeremy Corbyn and Emily Thornberry have pledged to suspend all licences for arms being used in the war, and to take a stricter approach to arms exports more generally. Similarly, the Shadow Defence Secretary Nia Griffith has called on the UK to stop joint military exercises with Saudi forces. Unfortunately, this view has not been shared by all in the party. 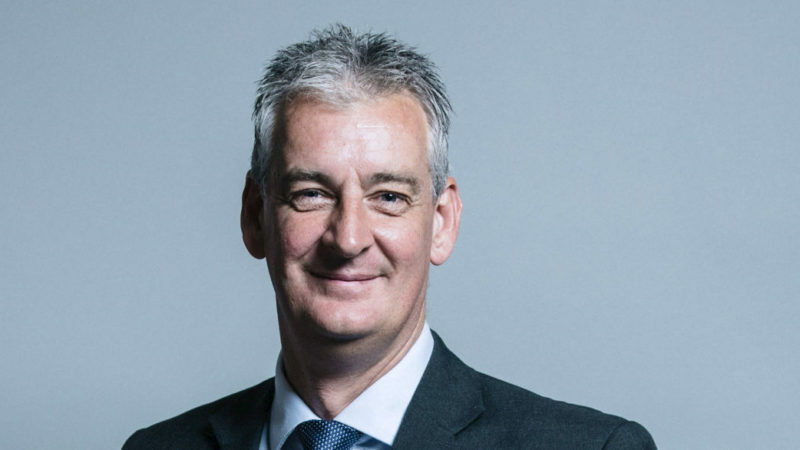 This morning, Labour MP for Haslingden and Hyndburn, Graham Jones, who Chairs the House of Commons Committee on Arms Export Controls (CAEC), accused human rights groups and NGOs and what he crudely called “loony leftwing organisations” of having exaggerated the impact of air strikes. The reality is very different, with the Crown Prince having dragged Saudi Arabia in an increasingly authoritarian direction. Since his appointment in 2017, executions in the Kingdom have doubled. This has happened alongside an intensified crackdown against human rights defenders. MBS may have famously given women the right to drive, but those that campaigned for the reform have been locked up. Their treatments has been challenged in a new report published a group of MPs, including the former Chair of the Foreign Affairs Committee, Crispin Blunt MP, which has compared their treatment to torture. On top of this, of course, is the terrible murder of Jamal Khashoggi in the Saudi Consulate in Turkey. His tone aside, Jones is right to say that abuses are being committed by all sides in the complex civil war that Saudi forces intervened in. But that cannot be used to justify the 18,000 air strikes that have been carried out by the Saudi-led coalition (one every 99 minutes), or the appalling impact they have had. A group of experts mandated by the United Nations High Commission for Human Rights found that “Coalition air strikes have caused most of the documented civilian casualties.” UK arms have played a central role in these strikes. The impact has been exacerbated by the immoral Saudi-imposed blockade, which has stopped vital aid from entering Yemen. Likewise, in 2016 a UN Expert Panel having accused Saudi forces of “widespread and systematic” attacks on civilian targets. Jones has not said if the UN is among the groups he is happy to diminish and dismiss. The UK Government has not been an observer of these atrocities, it has been an active participant. Jones should be using his position as Chair of CAEC to critically examine the role of Westminster, not to repeat Saudi lines. As the war enters its fifth year, the need for a political solution could not be greater. That solution cannot come from further air strikes and arms sales. We are always being told that the UK has a huge and positive influence with the Saudi Royal Family, if that is the case then it should be using that influence to call for meaningful reform and end to the devastating war. When a draft of this article was emailled to Graham Jones by Left Foot Forward, he replied asking for the following quote to be included: “Your article is not my view at all”.